Your body needs some fuel to perform high intensity gym workout. It's important to eat a light pre-workout meal to prepare your body for exercise. What you eat before a workout can affect your workout performance. A healthy meal before each workout helps promote muscle growth and prevents muscle atrophy, or loss of muscle. Consuming a healthy amount of carbohydrates and protein prior to each workout not only enhance your performance but also helps to get maximum results. To quickly fuel your body, your pre workout meal should be light and easily digestible. If you are simply going for a brisk walk, you do not need extra fuel, but if you plan to do an intense workout you need some fuel to provide extra energy for your intense activity. Many Fruits like apple, strawberries, blueberries, grapefruit, peaches and plums provide you a quick source of energy. One Cup of Yogurt is a good choice as preworkout food because it not only helps in the metabolism of protein and carbs but also fuel your body with sufficient energy both for cardio and weightlifting sessions. One cup of Oatmeal is also considered best as preworkout food. It helps to convert carbs into energy and keeps your energy levels constant during your workout. Soak 7- 8 almonds in water overnight. Early morning peel them off and eat before gym workout. Monounsaturated fats found in almonds and other nuts provide your body energy-boosting essential fatty acids such as omega-3s and omega-6s. A snack higher in protein is good for those whose goals are to build lean muscle mass through strength training. Meat, poultry or some dairy products contain Branched Chain Amino Acids (BCAA), which can help increase the rate of protein synthesis and decrease protein breakdown during and after your workout. Chicken Breast is a good source of BCAA . You can eat 4-6 Ounces Grilled Chicken before workout. 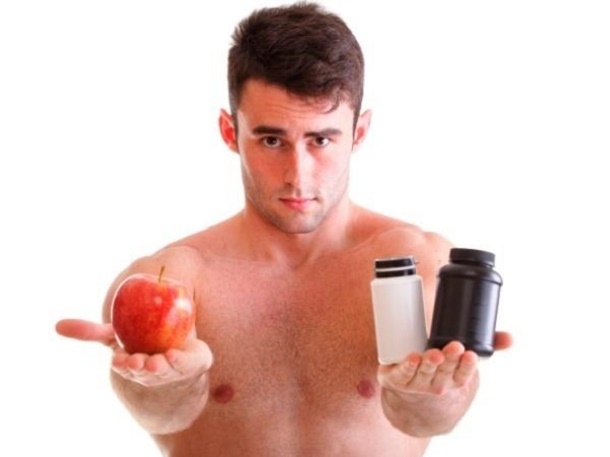 You can simply eat 2-3 egg whites before going to gym because egg whites are a complete protein with more branched chain amino acids (BCAAs) than other proteins. BCAAs found in egg whites help the body produce non-essential amino acids L-arginine and L-glutamine, which help to facilitate muscle growth. However, exercise on an empty stomach is good for those whose goals are fat loss and quick weight loss. Recent research has proved that when you exercise (without eating), fat is broken down more quickly in the muscle. Yet, before exercise drinking a glass of water mixed with 1 teaspoon of lemon juice and 1 teaspoon of honey works wonder for quick fat loss as compared to those who don`t drink or eat anything before workout.